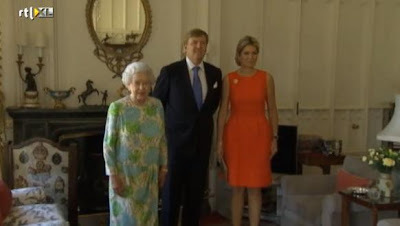 The Queen received King Willem-Alexander and Queen Máxima of the Netherlands at Windsor Castle. The new Dutch sovereign couple are making introductory visits to fellow European monarchs. Click above for video from RTL.